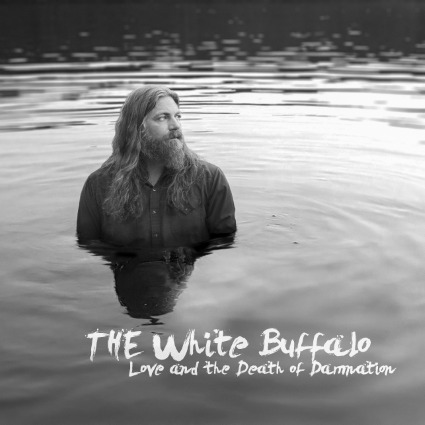 JP's Music Blog: CD Review: The Return Of The White Buffalo Brings "Damnation"
CD Review: The Return Of The White Buffalo Brings "Damnation"
Singer/songwriter The White Buffalo (aka Jake Smith) will be releasing his fifth full-length album in August entitled "Love And The Death Of Damnation." His music has grown in popularity due to it being featured in the hit FX show "Sons Of Anarchy" and Showtime's "Californication." To co-inside with the release of his new album, White Buffalo was followed by a camera crew, documenting the recording of this album. The new docuseries called "Ernie Ball Presents Capturing The White Buffalo: The Recording Of An American Songwriter" premiered on June 19th at ernieball.com/whitebuffalo. The new eleven song release begins with the quick-paced southern acoustic rocker "Dark Days" as Smith gets things moving swiftly right from the start. The sweet sounds of horns, highlights the country swing of "Chico" and his amazing songwriting focuses on the smooth roots rock of "Go The Distance." He slows the pace down for the gruff, truthful acoustic delivery of "Radio With Now Sound" and duets with Audra Mae" on the heartfelt "I Got You." The tempo picks back up with the quick acoustic swing of "Modern Times," before laying his feelings on the line for "Last Call To Heaven," which has White Buffalo sounding like a seasoned veteran. The White Buffalo will be wrapping up his headlining U.S. tour in September before heading up to Canada for seven dates in November. 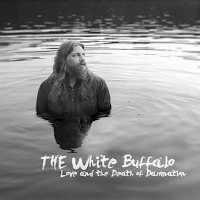 To find out more about his new album " Love And The Death Of Damnation," please visit his website at thewhitebuffalo.com.